Yesterday might have seen students return (or start) their first term at Hogwarts School of Witchcraft and Wizardry, it seems that the Wizarding World waits for no man, woman, or house elf. Rumors have been circulating that there’s a possibility of the latest instalment in Harry’s adventures, The Cursed Child, being adapted into a film (although not anytime soon), while it seems that J.K. Rowling was leaving titbits and clues scattered throughout the books, too. That’s not all though, as this year we’re also getting three brand new e-books by J.K Rowling detailing more backstory behind Hogwarts, it’s professors, and the Wizarding World in general, which are due for release THIS MONTH. Oh, and there’s also the small matter of A WHOLE NEW FILM TRILOGY with Fantastic Beasts and Where to Find Them. 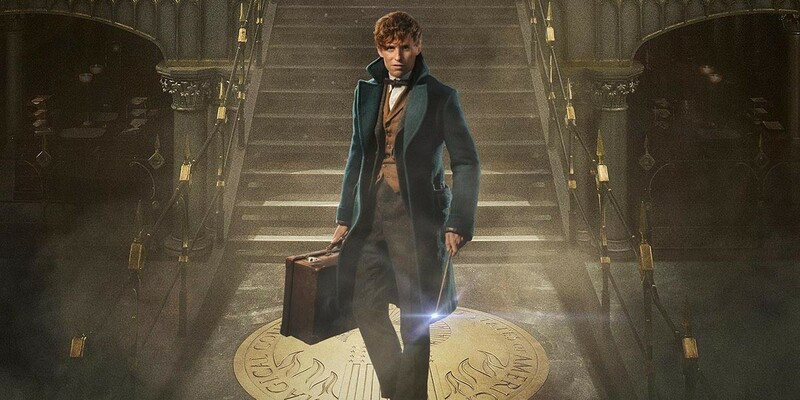 The first film is due for release November 18, and stars Eddie Redmayne as the film’s protagonist, Newt Scamander. Not too much is known about the film’s plot, but from the trailer we’ve been able to deduce that, after landing in New York from Britain, Newt accidentally let’s a bunch of magical creatures free in the city and hijinks ensue. Using her online portal for all things wizardry, J.K. Rowling introduced the world to the American world of magic via Pottermore, and we have to say that we freaked out a bit. We learned all about No-Majs (muggles), the North American equivalent of Hogwarts, Ilvermorny School of Witchcraft and Wizardry, and some more fascinating history of magic. 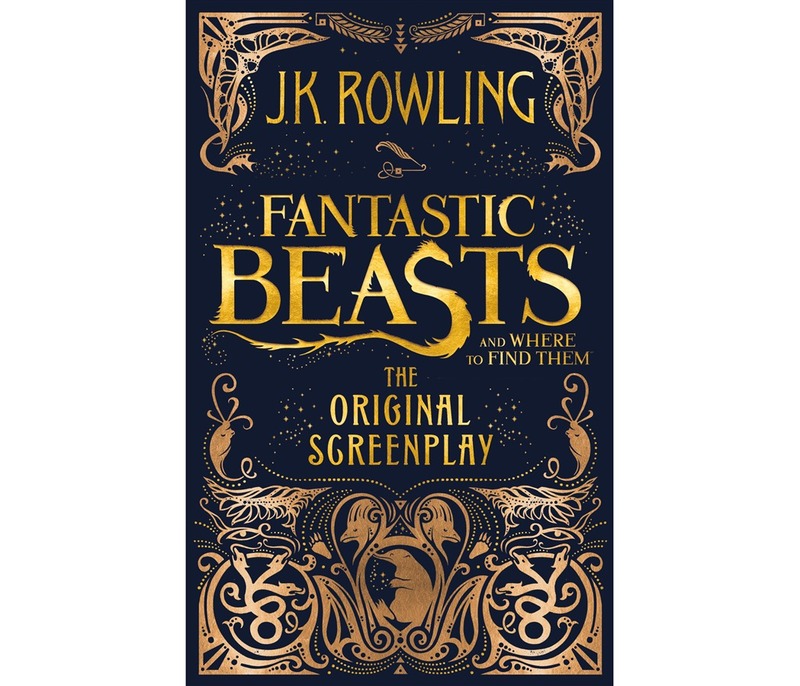 As if that wasn’t an overload of Potter-verse material, Rowling also announced that she would be releasing the screenplay for Fantastic Beasts and Where to Find Them and now said book’s cover art has been released and OMG it’s magical! Ooh, look how shiny it is! The cover art was designed by Miraphora Mina and Eduardo Lima, the design duo behind most of the Fantastic Beasts film. The UK edition of the cover varies slightly. 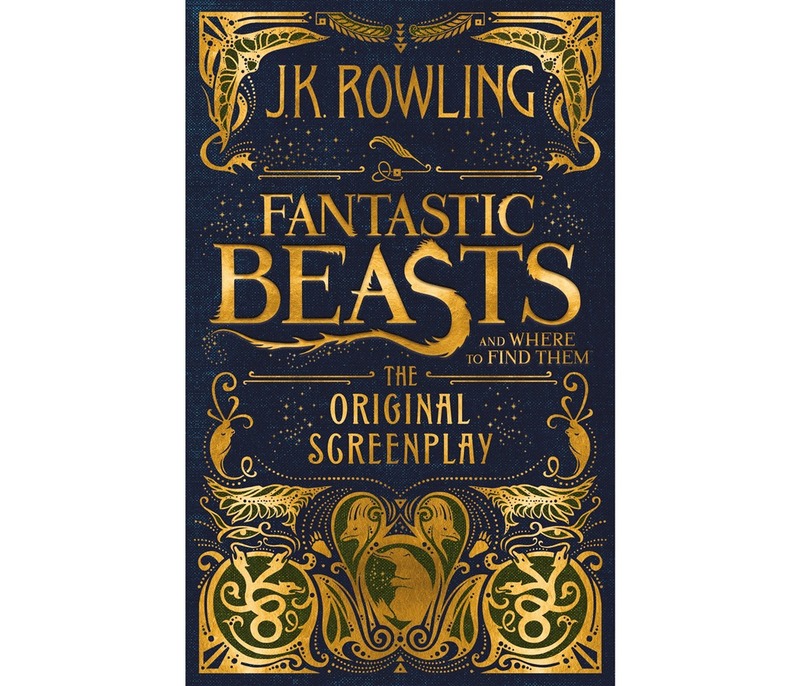 Like the film, the screenplay for Fantastic Beasts is released on November 18, so we’re sure there’ll be a LOAD of people (us included, tbh) that head to see the film at midnight and then head over to their local bookstore to pick up a copy of the screenplay to re-live the whole thing again. It really feels like 2016 has been a monster year for all things Harry Potter related, and we’re sure that it’s only set to continue, as the boy wizard celebrates his 20th anniversary next year.